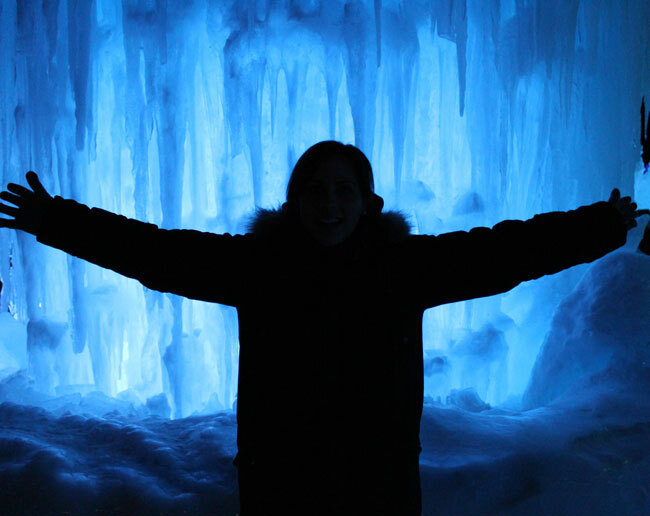 On Saturday I went to go see the Ice Castle in Lincoln, New Hampshire. 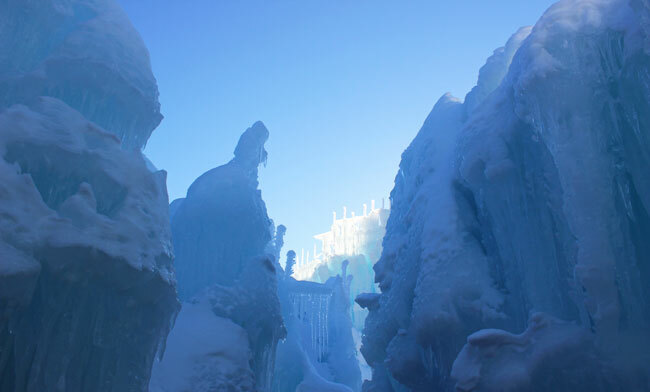 The castles are made by harvesting and sculpting ice together all by hand. It's really incredible! 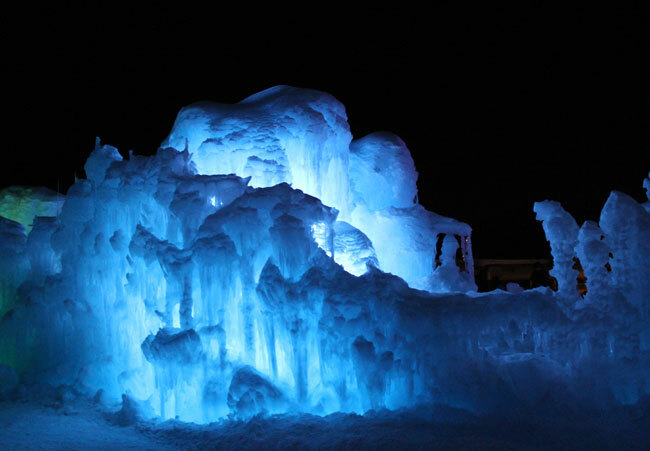 We went in the ice castle twice once in the afternoon, and once in the evening. We wanted to see how it looked in the day so we went there first. Then we went to eat, and came back in the dark to see how it looked all lit up. 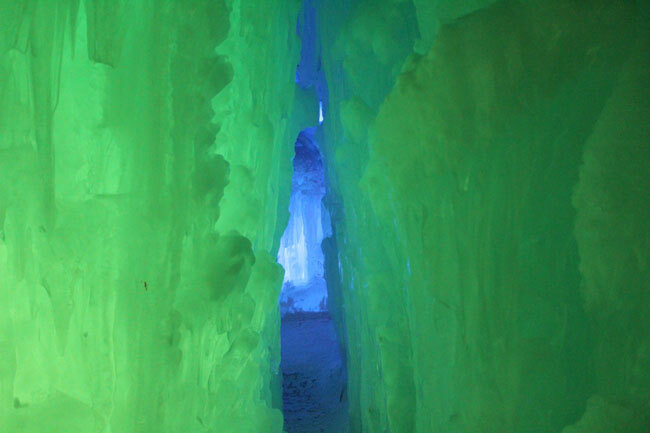 Different times of day and weather conditions all bring out different colors in the ice. If you are only able to go once during the day I would recommend coming at night. It's a bit more crowded but the castle really comes alive with all of the colored lights that seem to dance along with the music. 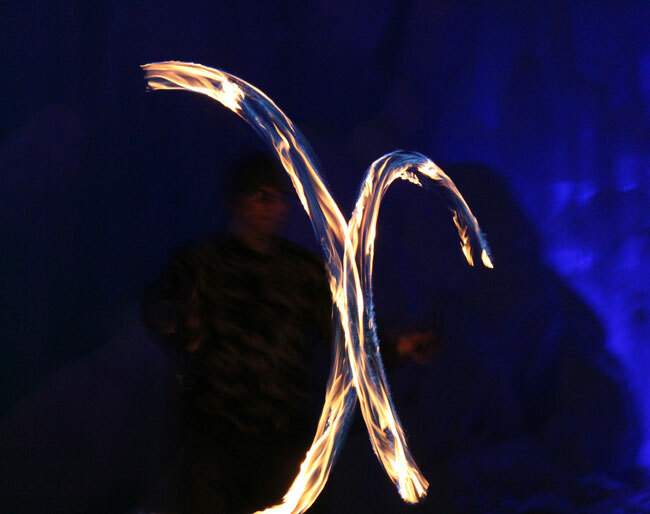 There are people juggling fire in the middle of the castle and all the stars are out above you. We really had a ton of fun! Everybody has been doing nothing but complaining about how cold it has been and how they hate winter. 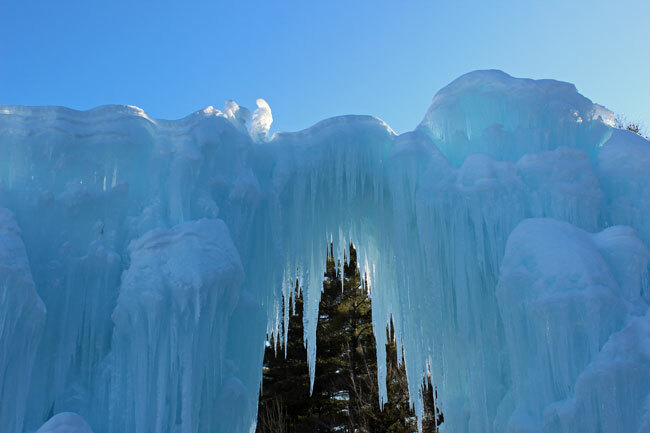 This just goes to remind you how beautiful winter can be. If you are planning on going dress warmly! 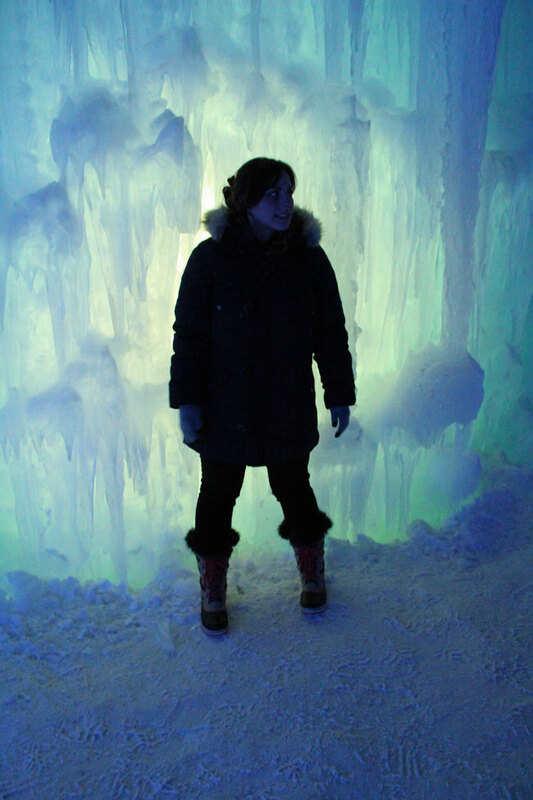 It's very cold inside the castle. Also, wear waterproof winter boots you will be walking on ice and snow. 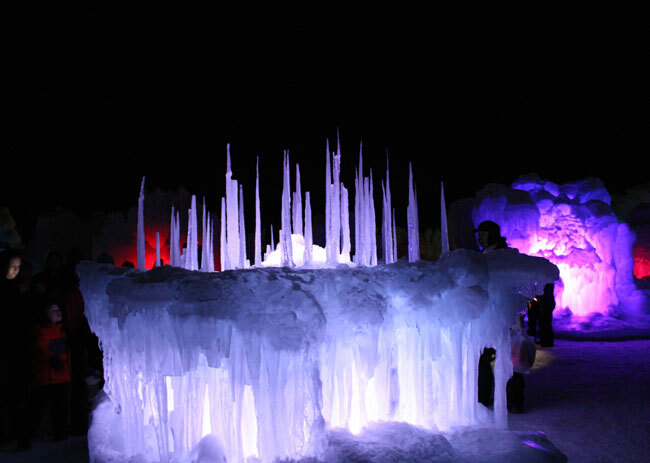 You can check out all the Ice Castles locations here. Omg that would be amazing!! Your photos are stunning. As much as I'm sick of winter this sounds like a wonderful winter adventure! So cool! Hope you guys had fun! That looks amazing! I would love to go there some day. Thanks for sharing!! Check out all their locations, maybe there's one near you! Thanks for stopping by! Hope to see you again soon!